One month build time: You can start your bike on the day that we announce the Dirtbag Challenge, one month before the day of the actual show. 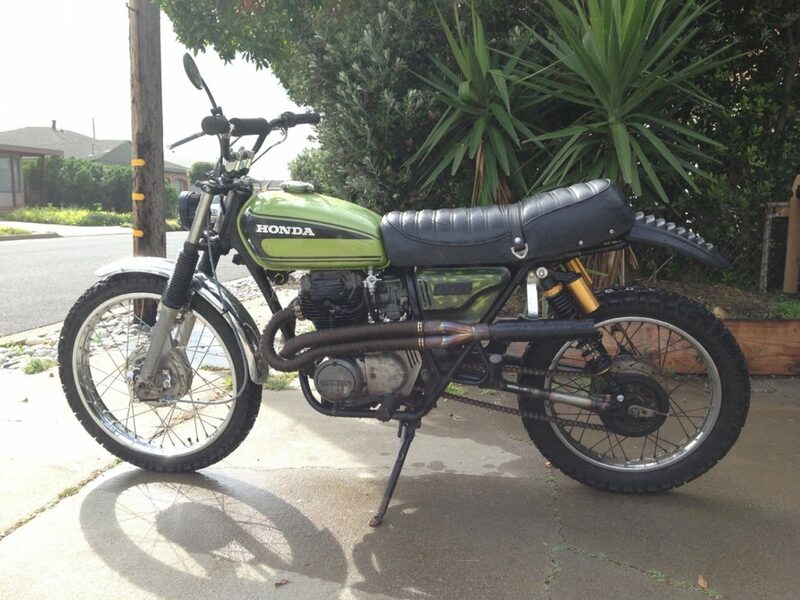 One thousand dollar budget: This includes the price of the donor bike, all parts, and all work. Yes you could cheat but then you’d be a loser. One hundred miles: On the morning of the show, meet up with the other Dirtbags and ride with us. We will ride at least one hundred miles over every type of road. There probably won’t be a chase vehicle. No Harleys: This is to keep it fair, to give everyone the chance to shine. We like Harleys, we ride Harleys but this is about being different and thinking outside the box. Jason built the first iteration of the CL (Craiglist) 360° you see here as an entry for the Dirtbag — a chopper with a 5-inch extended swingarm that had to make it through the city, down the freeway, along the coast, through the mountains, on the dirt roads, then compete in the end show and party. 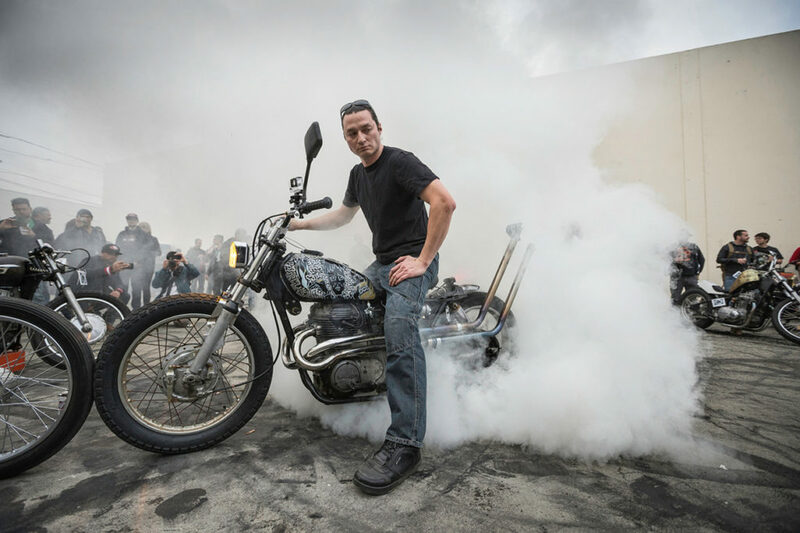 After the show, Jason found himself with a fairly useless $1000 chopper, so he decided to “get it up high.” He sourced a 21-inch wheel from an SL350 and a pair of dune buggy shocks to lift the bike. 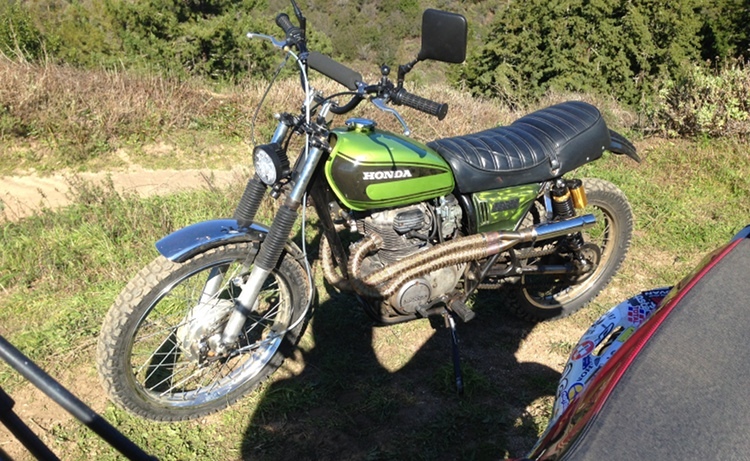 The bike survived some heavy off-roading in Big Sur and continues to run to this day, taking all sorts of abuse. She ain’t no show queen — she’s a go queen. Below, we get the full story on the build. 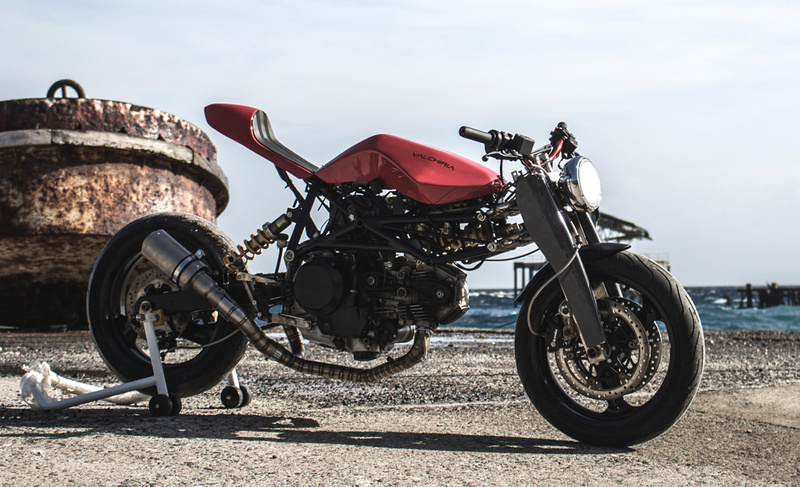 Offset Motorcycles has been a long time coming. In addition to building resto-mods and brat-scramblers for customers, I intend to make home-building some of these bikes a reality. When I talk to customers, they always show me the same 10-15 bikes on Pinterest or PipeBurn. Most have common traits that distinguish them as professionally built, and set them apart from the home builds. It’s always proper frame work that requires welding. In the chopper world you’ll see raking the forks by cutting and welding the backbone. 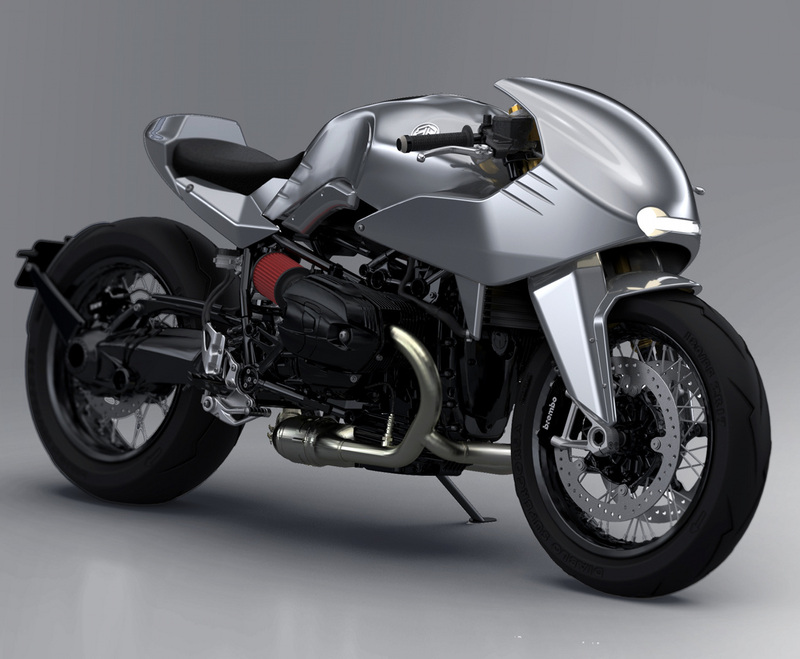 Then in the cafe world you will see an extended swingarm and/or an upside down fork conversion. It’s just a matter of time before those things become bolt on, and that’s what I’m working on. I have a 3″ extended swing arm kit for Honda CB350 to be in stores by spring, and development of a USD fork conversion for the same bike, to come later in 2018. The swingarm kit will come everything you need except a longer chain. 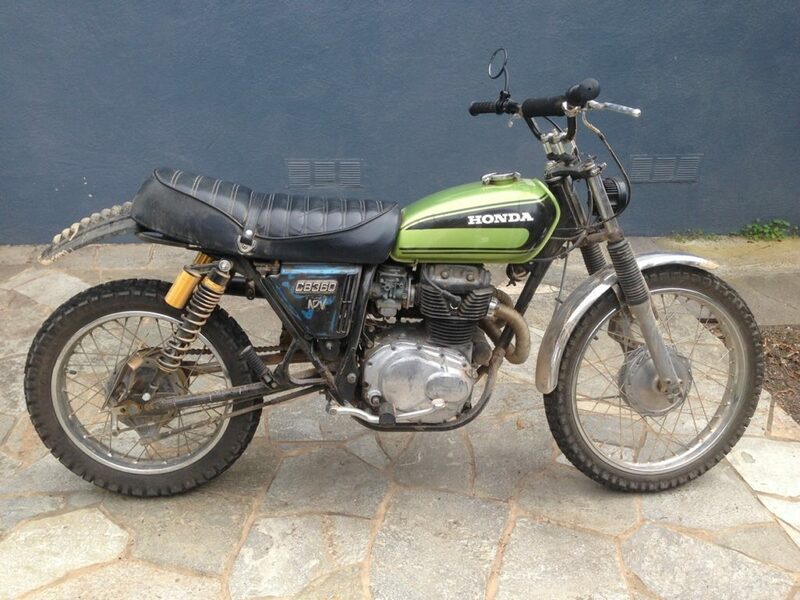 This one is a 1975 Honda CL360 that I got in a trade from my retired racer friend Mike (the bike) Gould. He’s an old school Honda mechanic that does fantastic engine work. So I knew the engine was in good shape. I traded him a clapped-out CB175 for it. It was a good fit for both of us. We both got free project bikes that we were familiar with. I got the bike as a donor for the Dirtbag Challenge here in San Francisco. 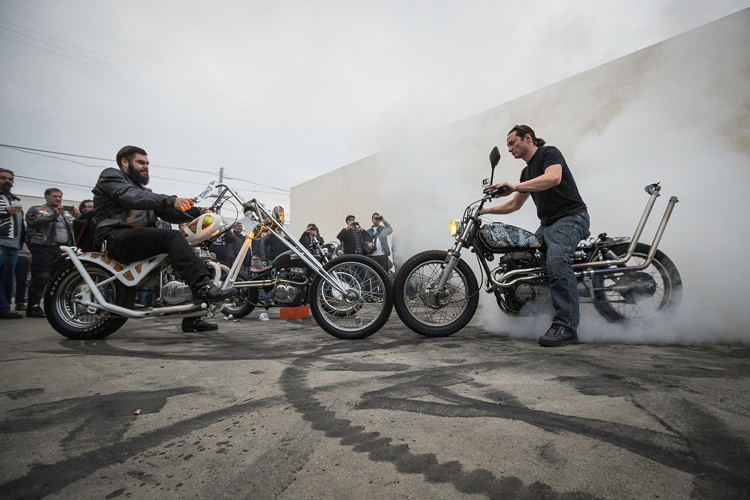 If you’ve never heard of it, it’s a one of a kind chopper build-off that was set into motion 15 years ago as a reaction to the big money “American Chopper” fad that had been sweeping the nation until recently. Now those $40,000 choppers are on sale on Craigslist for $8,000 and its pretty funny. The Dirtbag Challenge is a different kind of build-off for sure, and really gets its roots from hearty inner city San Francisco bike scene. There are a few cities that have the kind of specific need and certain dangers that come with motorcycling here. London is one of them, and that’s where the cafe racer scene sprung up. Here we have Dirtbag, where you can still be appreciated if you know how to score a $400 bike and make it run, then you score a bunch of other crap from your friends’ junk piles and build a chopper for yourself. It’s really a lot of fun, and that’s why we do it. The founder, Poll Brown, participates every year, and has a new film coming out soon called Rigid, on which he takes a rigid frame 70’s Yamaha XT500 across the country, spanning the entire TransAmerica Trail. The Dirtbag Challenge is a contest with only three rules. $1000, one month build time, and it’s got to be able to go at least 100 miles. You can cheat, but guess what, we all find out during the ride. For instance, this year somebody borrowed his friend’s rack of flat-slide Mikuni’s and yeah, but sorry if those parts come on the ride, then they count. No Harleys for that same reason. The bike as a whole has to be worth no more than $1000 any way you slice it. If you make it through the city, down the freeway, along the coast, through the mountains, and on dirt roads, then you compete in the end show and party. There are two full length feature films about the event and culture, Dirtbag and Dirtbag II, both available on Amazon Prime. I built the first iteration of this bike as an entry to the event. Then after the event I had a pretty useless chopper with a full 5″ of extended swingarm… so I thought, hey maybe now instead of making it as low as I can, I’ll try to get it up high. The first thing I did was find a 21″ front wheel from a Honda SL350, which was only produced with that wheel for two years, then figured out what would jack it up in the back, and ended up with dune buggy shocks. 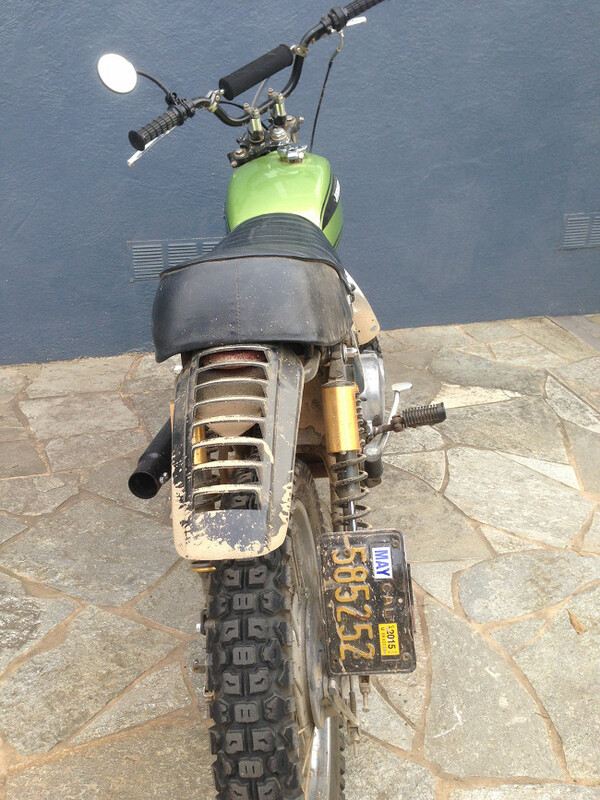 After that it was just fit a cool looking old school seat, dirt tires, headlight, fenders, muffer, then throw on some dirt bike bars and ride. 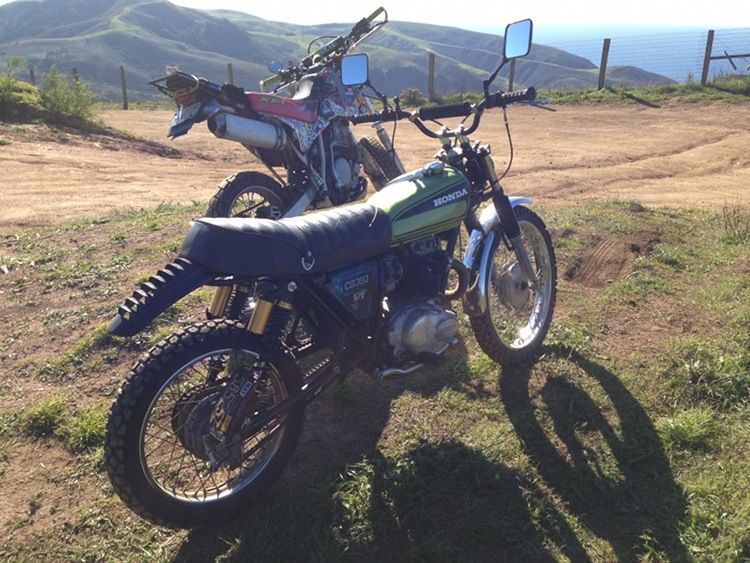 It was all just to turn my chopper back into a scrambler that had more to offer than the original. Right after I did all that it took it off-roading with my buddies up in the mountains in Big Sur. It performed beautifully. To this day it still runs and still takes a ton of abuse. People underestimate the durability of the 360. Everyone thinks it’s just a cheaper heavier 350, but it really isn’t. The build quality is pretty good. 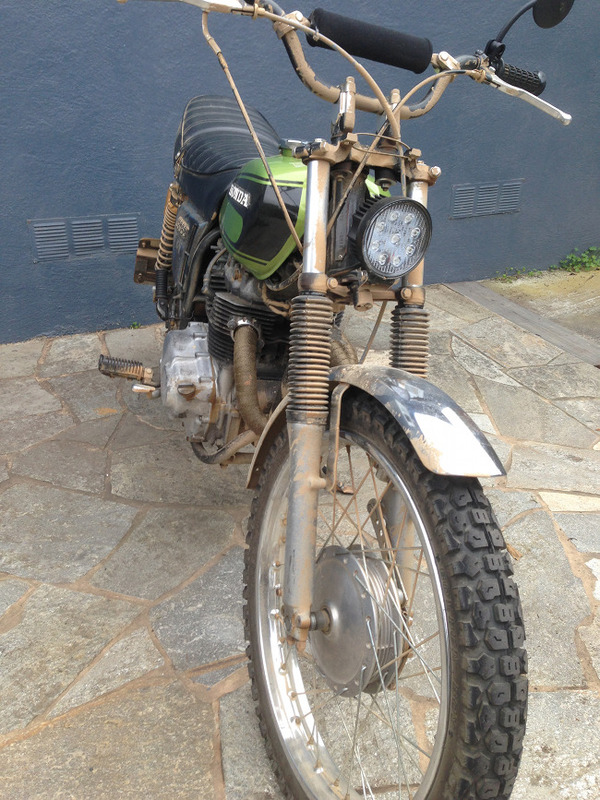 It’s definitely a vintage adventure bike. LOL. I guess the coolest thing was the swingarm. 5″ is a lot and I used it to lower the bike on the chopper rendition, and then used it to raise it in the adventure edition. Pretty cool mod.